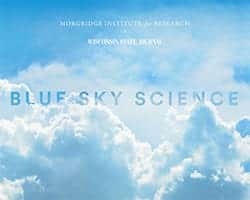 News & Stories > Blue Sky Science > How fast could a human theoretically run? How fast could a human theoretically run? But some individuals have speculated that it may be possible for humans to run as fast as 40 miles per hour under ideal conditions and circumstances. This speed is a theoretical limit as to what might be possible— extrapolated from many tests and the force-producing capabilities of humans’ lower legs—but it has never been observed. When talking about achieving a speed of 40 miles per hour, it’s only in terms of running on level ground. We’re not talking about running up hills or down hills, or under circumstances on a treadmill that may be more challenging to do. The ideal circumstances require no air or wind resistance, no concerns about fatigue-related issues and the other physiological factors that may play a role. Therefore, the likelihood of reaching 40 miles per hour is very slim. Several factors are related to how quickly somebody can run, which is why only one person has ever run 28 miles per hour. The length of your lower leg bones relative to your overall leg, the length of your foot bones, or the place at which your calf muscle and its tendon attach to your ankle joint can all play a role in running speed. And unfortunately, none of those you can you change. You can’t train your bones to be longer. You can’t train your muscle to attach closer to your ankle joint. But you can change how your muscles perform and how much power they produce to increase your running speed.